This is Earth week. Plant your own vegetable garden at home. Save money while feeding your family, fresh organic produce that doesn’t have to be shipped across the country or overseas. If you don’ have the time for your own vegetable garden support local farmers through Farmer’s Markets or CSAs. OK, I hope that this is just a fluke, but with global climate change, it probably isn’t. While it is one of the most beautiful springs we have ever had with the amazing explosion of color all at once, it is also very dry. We are usually complaining about spring being too wet, but that is not the case this year. If we don’t get rain, remember to water your new landscape plantings once a week with a thorough soaking. A thorough soaking is defined as a deep watering of an inch or more. When it is this hot and dry, you may want to do that 2 times a week. . Hand watering is the best way to water and most efficient. Sprinklers and irrigation can easily under or over water. If you do use these methods, it is essential to monitor plants to make sure they are getting the proper amount. Now for annuals flowers, vegetables and seeds you will need to water more frequently and monitor the plants for when they need additional moisture. Plants in containers or with smaller root systems dry out much faster than larger trees and shrubs. If you are thinking of installing an irrigation system, look at drip systems, which are highly efficient and use much less water. Rain barrels are a great way of catching rain water and keeping it to use on your garden. More elaborate irrigation systems can include a gray water catchment, cistern, that can hold large amounts of water and then distribute it through an irrigation system via pumps. Of course one of the best methods for water efficiency is to plant the right plant in the right place and choose plants that are native or adaptable to our area and are drought tolerant. 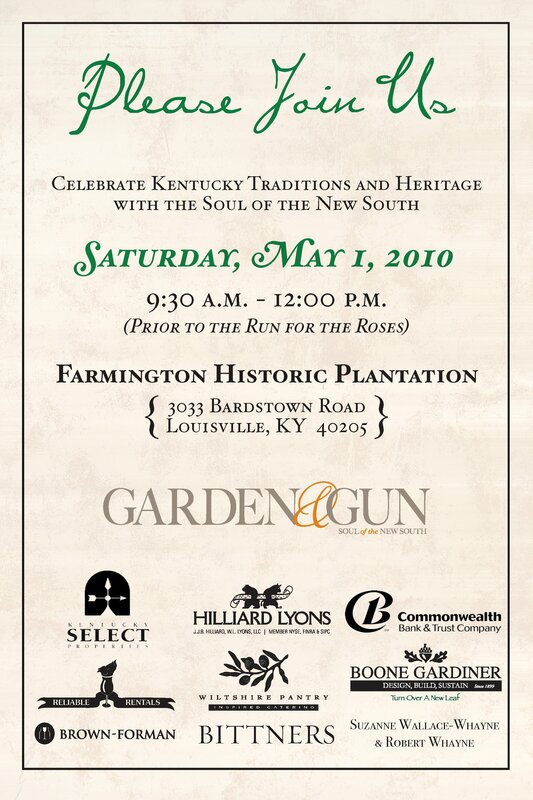 Come out to the Historic Homes Foundation Derby Breakfast at Farmington. It is a lovely event and will be a great time to see the newly designed and renovated Anne Bruce Haldeman by Holly Smith and Matthew Boone Gardiner of Boone Gardiner’s Landscape Design team.